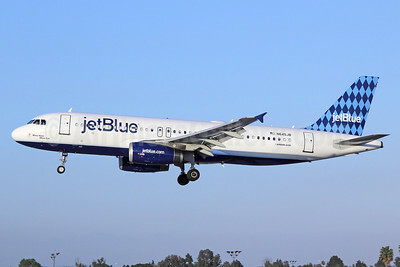 JetBlue Airways (New York) and British Airways (London) have announced an interline agreement to connect the carriers’ networks at New York’s John F. Kennedy International Airport (JFK), Boston Logan International Airport (BOS), Orlando International Airport (MCO) and Washington Dulles International Airport (IAD), creating new possibilities for travelers. 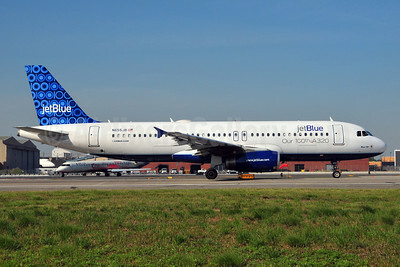 This marks the first partnership between JetBlue and British Airways, and the 25th airline agreement for JetBlue. The carriers initially plan to interline on 18 daily trans-Atlantic British Airways flights, more than 50 U.S routes on the JetBlue network and more than 100 British Airways routes beyond London. British Airways’ intercontinental routes that are part of the interline agreement include Boston-London Heathrow (LHR), New York/JFK-London City Airport (LCY), New York/JFK- London Heathrow (LHR), New York/JFK-Paris Orly (ORY), Orlando-London Gatwick (LGW) and Washington/Dulles-London Heathrow (LHR). Tickets can be purchased through British Airways. Customers will be able to enjoy access to a variety of British Airways destinations beyond London, including Europe, Africa, the Middle East and India, as well as non-stop access to Paris Orly Airport from New York. Meanwhile, British Airways customers can now book onward tickets to new U.S. destinations such as Burlington, Vermont (BTV); Martha’s Vineyard, Massachusetts (MVY); Nantucket, Massachusetts (ACK); and Portland, Maine (PWM). At JFK Airport British Airways operates from Terminal 7. JetBlue operates from nearby Terminal 5, a quick ride away on the airport’s free AirTrain service. At Boston Airport, where JetBlue is the largest carrier and offers nonstop service to 49 cities, more than any other airline, British Airways operates from Terminal E, while JetBlue operates from nearby Terminal C.
At Orlando, where JetBlue operates numerous routes to the Caribbean and Latin America, British Airways operates from Terminal B and JetBlue from Terminal A. Top Copyright Photo: Michael B. Ing/AirlinersGallery.com. Airbus A320-232 N645JB (msn 2900) in the Harlequin tail design lands at the focus city of Long Beach, California. Bottom Copyright Photo: Richard Vandervord/AirlinersGallery.com. 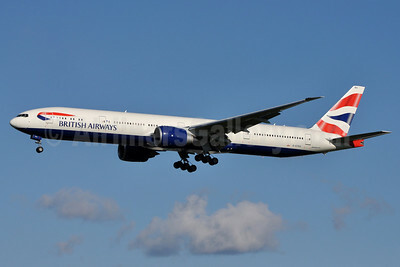 British Airways’ Boeing 777-336 ER G-STBA (msn 40542) arrives at the London (Heathrow) hub. This entry was posted in British Airways, JetBlue Airways and tagged 2900, 40542, 777, 777300, 777336, A320, A320200, A320232, Airbus, Airbus A320, Airbus A320200, Boeing, Boeing 777, Boeing 777300, British Airways, dulles international airport, GSTBA, Heathrow, JetBlue Airways, john f kennedy international airport jfk, LGB, LHR, London, london city airport lcy, london heathrow lhr, Long Beach, N645JB, paris orly airport, washington dulles international on August 16, 2013 by Bruce Drum. United Airlines (Chicago) will begin weekly year-round service between its hub at Washington-Dulles International Airport and both Guatemala City, Guatemala, and San Jose, Costa Rica, on April 13. 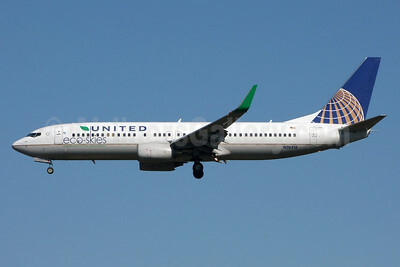 The airline also will begin weekly year-round service between its Chicago O’Hare hub and San Jose the same day. All routes will be operated with Boeing 737-800 aircraft with 16 seats in United Business, 48 seats in Economy Plus and 90 seats in United Economy class. The new flights complement United’s existing service to Guatemala City and San Jose from the airline’s hubs in New York and Houston. Copyright Photo: Jay Selman. Boeing 737-824 WL N76516 (msn 37096) with the special Eco-Skies/Commitment to the Environment markings arrives at Charlotte. This entry was posted in United Airlines and tagged 37096, 737, 737800, 737824, Boeing, Boeing 737, boeing 737 800 aircraft, Boeing 737800, Charlotte, CLT, dulles international airport, EcoSkies, N76516, United Airlines, washington dulles international, washington dulles international airport on April 12, 2013 by Bruce Drum. JetBlue Airways (New York) and Qatar Airways (Doha) today announced a one-way codeshare agreement to connect the carriers’ networks via New York’s John F. Kennedy International Airport and Washington Dulles International Airport, subject to receipt of government approval. The two airlines have been interline partners since 2011, enabling customers to enjoy the convenience of a single combined ticket for Qatar and JetBlue-operated flights, plus other benefits including one-stop check-in and baggage transfer. JetBlue customers can avail themselves of Qatar Airways’ connecting service to destinations across the Middle East, Africa, and Asia Pacific regions, including 12 cities in India and a number of destinations including Bangkok, Singapore, Kuala Lumpur, Dubai, Kuwait, Riyadh, Islamabad, Nairobi and Dar es Salaam. JetBlue is a top domestic airline at JFK, with more than 150 daily departures to dozens of major U.S. cities including Boston, Chicago, Fort Lauderdale, Los Angeles, Orlando, San Francisco, and San Juan, Puerto Rico, from its home at the modern Terminal 5. At Washington Dulles, the airline offers service to Boston, New York, and Long Beach and Oakland, California. Customers traveling with JetBlue enjoy premium amenities including unlimited free snacks and drinks, personal seatback televisions, spacious leather seating, the most legroom in coach of any U.S. airline (based on average fleet-wide seat pitch), and personalized service from JetBlue’s award-recognized in-flight crewmembers. Top Copyright Photo: Ken Petersen. JetBlue Airways Airbus A320-232 N655JB (msn 3072) sports the “Our 100th A320” special livery at the New York (JFK) hub. Bottom Copyright Photo: Brian McDonough. 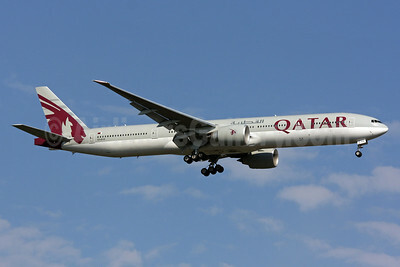 Qatar Airways’ Boeing 777-3DZ ER A7-BAB (msn 36103) arrives at Washington (Dulles). This entry was posted in JetBlue Airways, Qatar Airways and tagged 3072, 36103, 777, 777300, 7773DZ, A320, A320200, A320232, A7BAB, Airbus, Airbus A320, Airbus A320200, aviation, Boeing, Boeing 777, Boeing 777300, Dulles, dulles international airport, IAD, JetBlue, JetBlue Airways, JFK, N655JB, New York, Our 100th A320, Qatar Airways, transportation, Washington, washington dulles international on March 14, 2013 by Bruce Drum. Silver Airways (Fort Lauderdale/Hollywood) has been selected for Essential Air Service (EAS) authority to serve Macon, Georgia (MCN). The company expects to launch operations on April 1 to both Atlanta and Orlando (weekend only service) according to this report by The Telegraph. Copyright Photo: Brian McDonough. SAAB 340B N346AG (msn 446) completes its final approach into Washington Dulles International Airport. 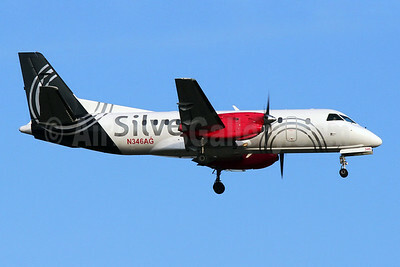 This entry was posted in Silver Airways and tagged 340, 340B, 446, aviation, Dulles, dulles international airport, IAD, N346AG, SAAB, SAAB 340, SAAB 340B, Silver Airways, transportation, Washington, washington dulles international, washington dulles international airport on February 28, 2013 by Bruce Drum. Emirates Airline (Dubai), one of the fastest growing airlines in the world, has launched its daily nonstop service from Dubai to Washington Dulles International Airport (IAD). 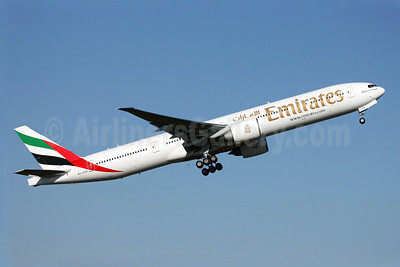 It is the seventh gateway for Emirates in the United States, and the twelfth new route to join the airline’s international network in 2012. Copyright Photo: Nick Dean. Brand new Boeing 777-31H ER A6-EGR (msn 41077) climbs away from the Boeing factory at Paine Field near Everett. This entry was posted in Emirates Airline and tagged 41077, 777300, 77731H, A6EGR, aviation, Boeing, Boeing 777, Boeing 777300, dulles international airport, Emirates, Emirates Airline, Everett, PAE, Paine Field, transportation, washington dulles international, washington dulles international airport on September 14, 2012 by Bruce Drum.